Today I am partnering with Lunch-à-Porter to give away this amazing Bento Box Set! There will be one (1) winner who will receive one (1) Bento Box Set shown in the picture. The suggested retail price of this set is about $76! Lunch-à-Porter sells bento and bento related accessories online but they also have a boutique shop in Montreal, Canada. Can you imagine having a cute bento shop in your town? I would definitely be a frequent visitor… 🙂 Stop by to check out the boutique when you are in town! The Rules: This giveaway is open for everyone, WORLDWIDE. The giveaway will be closed on Sunday January 5th, 2014, 11:59 am PST. Entries that do not follow the entry requirements will not be considered. One (1) winner will be randomly selected via random.org and announce at the end of this post and contacted via email. To enter, leave a comment on this post and tell me what recipes are you looking forward to in 2014. Bonus Entry: For EACH ENTRY below, leave a NEW comment saying that you are a new follower, or already a follower. Bonus 1: Subscribe to Just One Cookbook YouTube channel. Bonus 2: Like Just One Cookbook on Facebook. Bonus 3: Like Lunch-A-Porter on Facebook. Bonus 4: Visit Lunch-A-Porter.com and subscribe to Lunch-A-Porter Newsletter so that you can receive information on sales and new product giveaways. Full disclosure: This giveaway is sponsored by Lunch-à-Porter. I would like the recipe for yakibuta! Thanks you for sharing your recipes. I have subscribed to your site on You tube. Whenever I go to a Japanese restaurant, I always make sure that I order some! However, I am not sure if it is an original Japanese recipe…. I’d love to learn how to make melon pan and beef misono! Just subscribed to Lunch a Porter newsletter as well. Thank you for recommendation! I’m the biggest fan! I follow your recipes everywhere! :o) I would like more recipes with anko or some to pair with Green Tea. Subscribed to your youtube channel, you busy little bee! I’m looking forward to more quick and easy one meal recipes in 2014! I look forward to learning how to make different types if ramen. I’m a new YouTube follower! I’m already a Just One Cookbook follower on Facebook. I am a new Lunch-A- Porter follower on Facebook! I’m looking forward to working with the two beehives we have in our rooftop veggie garden! This will be our second year with them and I feel like I know a little bit now. I’d like to see sandwich recipes. Something you’d put in a Bento. 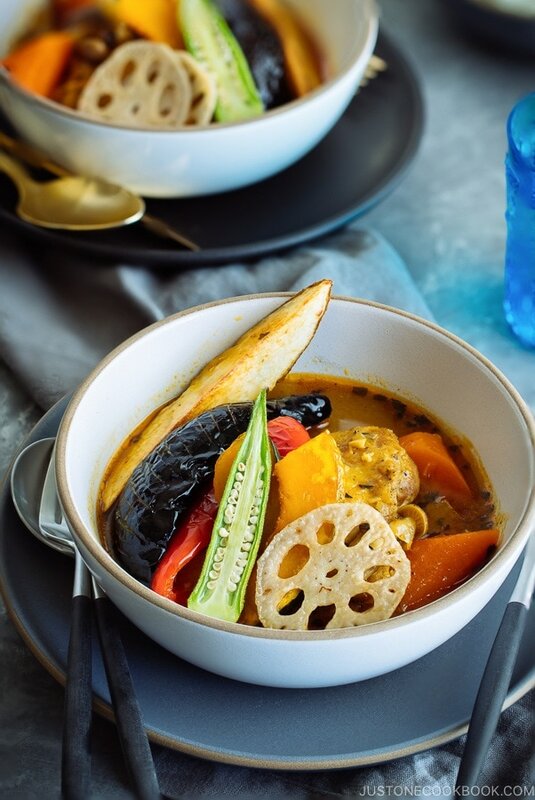 I visited the Lunch-A-Porter website for the first time and I am a new subscriber to their newsletter! I’m already a follower. I would like to see recipes for any traditional Japanese breakfast. I went to stay at an onsen in japan a few years ago. It was actually a ryokan and I’m still dreaming about the breakfast they served!! Thank you for this giveaway. Well, one of the recipes I’m looking forward to is matcha tiramisu! I’d really like to learn how to make it. Of course, I’d love to see all your bentous ideas, too. I’ve just subscribed your Youtube channel! I am already a follower. I have many fresh eggs at hand, and always love to see new recipes for them! Hi there! I have been yr follower since september ( i think ) this year…I have tried out a couple of your recipes and am always looking forward to more recipes from you. Would like to see more one dish meal recipes cos it will be easier and equally nutritious to prepare for my family especially my son who will be starting nursery school next year. I always enjoy seeing the ‘home-style’ Japanese cooking you share as many people’s impression of Japanese cooking is limited to sushi and miso soup. 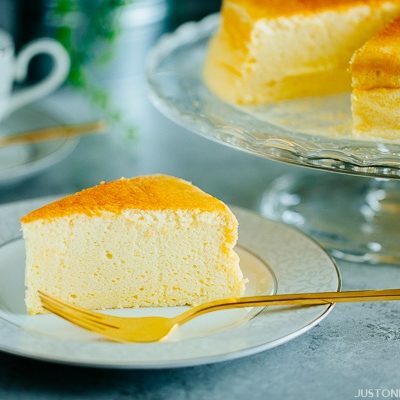 🙂 One day, I’d still like to make Japanese cheesecake which blew me away when I first saw it on your blog. Just followed you on Youtube! I already Just one cooking follower on facebook. I am a new follower of Lunch- A-Porter on facebook. I’m looking forward to a Squid spaghetti recipe in a Japanese style!! I am a new follower to Just One Cookbook YouTube channel. I am a new follower to Lunch-A-porter! I’m looking forward to more bento ideas. I’m a new follower to your Youtube channel! I’ve just liked your Lunch-A-Porter page on Facebook! I’m looking forward to trying out more recipes from other places. More obscure places like Peru or Germany. I love to expand my culinary landscape. I would love to see more recipes for udon. I like this bento box idea. I think I will try it. Am a follower of JustOneCookbook. I look forward to such dishes as various ways to pickle vegetables. 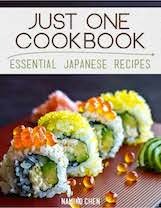 I am looking forward to easy recipes I can learn to make for my son when he returns from Japan in March! He has been teaching there, and loves the country and culture. I love Japanese pasta and bread (so soft and delicious!)! More tuna recipes too (like hamachi). I’m looking forward to more donburi recipes, especially ones that involve pork belly! Already a follower to Just One Cookbook YouTube channel. Already a follower to Just One Cookbook on Facebook. Already a follower Lunch-A-Porter on Facebook. I’m new to the site and really inspired by the many creative ideas I’ve seen so far. I follow your Facebook pages and found your website contained contemporary and engaging themes with interesting and informative articles. Personally, I’d like to see more traditional dishes, particularly soups and sauces that incorporate shellfish based recipes. Give prawns a chance! I have always wanted to know how to make takoya or tayaki, I can never remember how to spell it, but it’s shaped like a fish and filled with red bean paste. I’ve seen it a lot an it looks delicious! I subscribed to your YouTube channel. Didn’t know you had one until now, but I’m really excited to go through all of the videos. I liked Lunch-a-Porter on Facebook. I subscribed to on YouTube. I’d like more robatayaki recipe. Have just subscribed to lunch-a-porter newsletter. However, I ever tasted it in such a Japanese restorant but it’s not the real one I want, It’s just fried egg with flour and sprinkle with bonito flakes, make me disappointed. I would like to have Okonomiyaki. I just subscribed to your Just One Cookbook YouTube channel. I just liked Lunch-A-Porter on Facebook. I’m looking forward to everything! But any recipes with unagi are my favorite! And Okinawa soba! I’ve been a follower of your YouTube channel! I am a follower of Just One Cookbook on Facebook. I liked Lunch-A-Porter on Facebook! I’ve subscribed to Lunch-A-Porter’s newsletter. I’m looking forward to more videos and more bento recipes! I’m finally having the chance to brown bag my lunch since I will be moving into my first house in 2014, and although I have a few books on bento, I’m always excited for more. Thank you Lunch-a-Porter and Nami for hosting this giveaway! Am already a follower on FB! Liked Lunch – a – Porter on FB !! Just subscribed to Lunch – a – Porter’s newsletter!! I’m a new follower via blogger! Just discovered your site as my local organic shop started stocking dashi and was looking for recipes. Great site! Only learning Japanese cooking so look forward to visiting your site again in 2014 especially Bento recipes! I am a “new follower” from Singapore. Thank you for your wonderful postings. I have been following your recipes for the past year. I wish that you can share a recipe on Shishamo. I live by myself, so I can only buy small portion of food that I can consume at a time. I love how your recipes are simple and easy to make. I would like to see more of Japanese home style food, something mom would make. I’m a big fan of your website! I’ve only been following for a few weeks and love it. I bought your cookbook too. What I’d like to see next year are recipes that will use seasonal produce from my garden and challenge my cooking skills. I love green tea recipes. Ive been following your Instagram and FB for a while. I’m looking forward to more video recipes! I love your channel, the recipes are not too long and very clear and beautifully put together. I would like more recipes with miso because I love MISO! I like Lunch-A-Porter on FB. I have Subscribe to Just One Cookbook YouTube channel, Like Just One Cookbook & Like Lunch-A-Porter. I love Ramen and looking forward for different variety ramen recipe from you. I would like to see more ideas for bento meals for both adults and children. I have subscribed to your youtube channel and liked your facebook page. So far I loved all the recipes that I tried and I’m looking forward to any new recipes!! And so does my husband! You already have all recipes that I like, but it would be cool to get some more recipes for japanese sweets. I liked justonecookbook on Facebook. 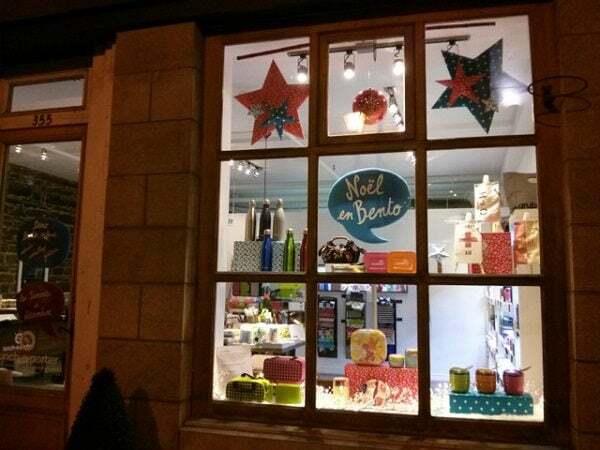 I liked Lunch-à-Porter on Facebook! I did purchased your ebook and i found it very good. I am personaly a fan of Japan, especially Japanese sweets so i hope to see more sweet recipes on your website in 2014. Would like some more bento recipes, but can be made with larger portions and easy to make. Domo arigatou! I love your site and my daughter and I love bento! 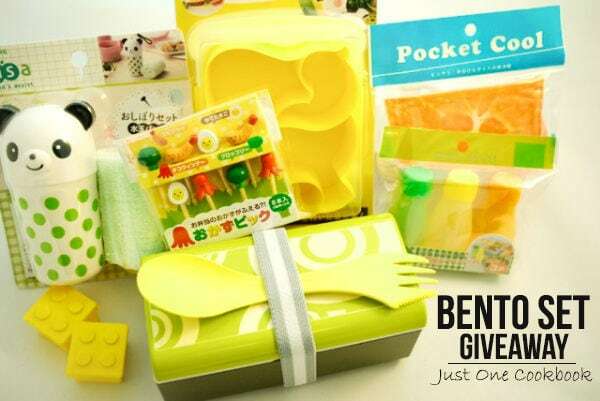 It’s very hard to find bento accessories in Australia so this prize would be amazing. We would make totoro bento every week with this set! I would like to see more bento recipes especially for adults since I plan to pack my husband’s lunches for his work. 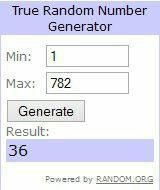 Thanks for sponsoring the giveaway! I’m already a follower of justonecookbook and lunch-a-porter on Facebook. I want to cook so many things! But I like to try karaage! I susbscribe to Just One Cookbook on YouTube! I’m a follower- I am looking forward to more sushi recipe for my bento project. Thanks! and hope to win in this raffle giveaways! Signed up for the Lunch-a-Porter newsletter! I would like to see recipes for traditional Japanese breakfast. I’ve just subscribed to Just One Cookbook YouTube channel. 1. I had already subscribed to Just One Cookbook youtube channel. Would love a good Hokkaido milk bread recipe! I want recipe for picnic , specially for Hanami 🙂 … Really looking forward for Cherry Bloossoms season :)! I follow you on Facebook ! Near our place there’s a Japanese restaurant with pasta dishes. My sis loved it’s creamy pasta with salmon sashimi. Would love to see some Japanese pasta dishes in Justonecookbook. Hm… I don’t know enough about Japanese food to talk about dishes you don’t already have posted. Maybe I would like a monja yaki post in 2014? I’m looking forward to more chicken recipes! Would love to see more lunchbox and sushi recipes in 2014! Lately I’ve been really enjoyTakoyaki. I would love to try making some this year. Hi Nami, I’m already following you everywhere! Thanks for this year’s year worth of recipes! Next year, I would like more… Sweets, and anything from scratch, like homemade knife-cut noodles or furikkake, or more pickles… The kind of food you can find easily but you decide to make from scratch still! Enjoy the holidays with your family, but don’t forget your blog after it is over haha! I just liked Lunch-à-Porter on Facebook! I follow you on youtube: NebulaInHeat. Looking forward to a butter cookie recipe. Already subscribe to your newletter, ‘like’ d on facebook too. I love your site and have been follower for some time (FB and just subscribed YouTube). I would like to see a recipe/technique for more traditional wagashi like namagashi and yokan. They are so beautiful (but time consuming), especially namagashi. I already follow you on Facebook: Sunny García. I just liked Juste-à-porter on Facebook! When I was in Tokyo last year I fell in love with the breads (we always stopped at the bakery in Ueno Station). I would love to see more bread recipes. I’d also love to see more breakfast ideas. I suscribed to Juste-à-Porter’s newsletter! Soups are my go-to recipes these days so I would love to read about more soup recipes. I love the beautiful photograph and the delicious food. It inspires me to make each dish. I follow on Facebook! I love all recipes. I love trying new foods from different cultures. I just subscribed to JOC YouTube channel! I look forward to more ramen recipes as well as dessert recipes. I just liked Lunch-a-Porter on facebook! I will be looking forward to even more vegitarian recipies with tofu for 2014 and oishii Japanese desserts! I like you on facebook will go subscribe on youtube and am going to go like Lunch-A-Porter and subscribe! Wishing you a bright and warm holiday season! More traditional new years recipes! Already a follower of Just One Cookbook on Facebook! Already a follower on Lunch-A-Porter on Facebook! already follow you on facebook and I’m a new subsriber on youtube channel. I also just follow lunch a porter on facebook and subscribe their newsletter. I really love read your post, I hope you can post japanese cheese cake and how to make simple takoyaki soon. I look forward to all recipes! I particularly like the recipes that can be used in Bento. My daughter (16) and I have both decided to start making lunches to take to work/school and discovered that. Bento would be a fun way to do it! I just liked Lunch-A-Porter on FB! As always, love your recipes and look forward to more bentos (especially for those looking at losing a few pounds) for 2014! I just subscribed to your YouTube channel – Awesome! Now I can see how to make your delicious recipes. Thank you! Just subscribed to Lunch-A-Porter Newsletter. Love all the wonderful bento boxes! Thank you! I am already a follower on Facebook! Thank you! Hi, thank you for the giveaway. I’d love to learn how to make Asian food. I am a new follower of Lunch- A-Porter on facebook, and new subscriber on youtube, and for the newsletter as well. I really love all of your recipes and am excited to see the next thing you bring! Looking forward to healthy recipes in 2014! Hi Nami, Im a follower and hope you can post a recipe for futomaki this coming year. I like Just One Cookbook on Facebook – I love getting your updates! Hmm…I’m always looking forward to your recipes! I can’t choose! XD Maybe recipes that busy university students can make for her roommates…? I am subscribed to the Just One Cookbook YouTube channel. I have liked Lunch-A-Porter on Facebook. New follower Lunch-A-Porter on Facebook and subscribed on newsletter. I have visited Lunch-A-Porter.com and subscribed to Lunch-A-Porter Newsletter. I just subscribed to JOC on You Tube! 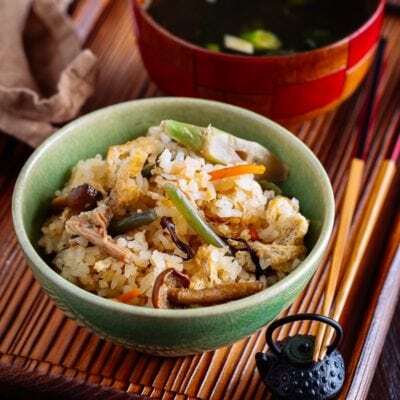 I would like to see more simple recipes like donburi or takikomi gohan. I am subscribed to Lunch-à-porter’s newsletter. I used to walk by their display regularly since it was near my previous workplace. It’s good to know that they finally got a shop open near that location, in the Old Port of Montreal. 355 Saint Paul Street West, on the corner of Saint Pierre Street. And I’m inclined to think that it’s correct since I recognized the display used in the photo. Hi, I subscribed to Just One Cookbook YouTube channel. When in Japan, I was found of sui gyouza. And zaru soba. And miso udon. And tapioca pearls in coconut pudding. Any of them would be great! New subscriber to Just One Cookbook YouTube channel! I have subscribed to your channel on youtube! I liked Lunch A Porter on FB! I want to conquer my fear of deep-frying and start making agedashi-doufu in 2014. I subscribed to the Just One Cookbook Youtube channel. I don’t have a particular recipe request though I’m looking forward to everything in 2014! I have visited Lunch A Porter and subscribed its newsletter! I look forward to making dragon roll next year! ALL of them !!! I LOVE ALL JAPANESE FOOD !!!!!!!!!! I look forward okazu and veggie recipes! Love your website! Any recipes! I love anything you share! Nami, everything you produce looks mouthwateringly good so what recipes am I looking forward to? Surprise me! I love your bento extravaganzas though. I’d be so happy to open one of these at lunch time. I’m looking forward to a blog about mochi! Looking for some recipes for masutake! I’m looking forward to more quick and easy recipes. I follow you on facebook. I’m looking forward to a recipe for original Hakata Ramen in 2014. Love your recipes!!! I read every one. I’m looking forward to more Ramen and desserts recipes! I’m a follower for both your Facebook pages. P.S. I liked JOC on facebook! and love it in real life! Thank you! I would love a soup recipe using Enoki and other mushrooms in 2014! Thank you for giving us such a beautiful and helpful recipe site, it has really enhanced my ability to prepare Japanese dishes! Happy holidays! I’ve just pressed LIKE on the Lunch-à-porter facebook page. Omg that’s sooo cute! Hmmm not sure what recipes I’m looking forward to in 2014. I just love trying all sorts of new recipes so anything new that sounds yummy is what I’m looking forward to. I subscribe to Just One Cookbook YouTube channel! I WOULD LIKE TO TRY THE DESSERTS…. I am already a follower. Love your work! Looking forward to some fresh bento ideas for the new year!! 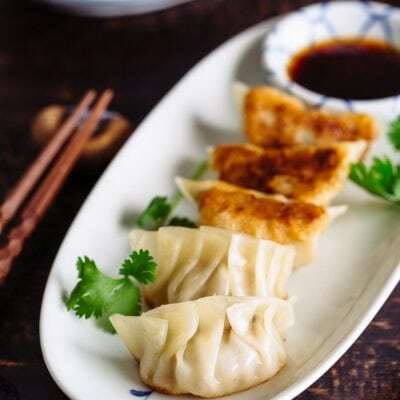 I’m looking forward to learning how to make japanese gyoza! I’d love to learn how to make melon pan! I’m already a follower of JOC on facebook. I’m looking forward to ramen recipes. I have been a follower and I love it! 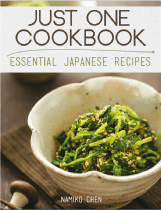 I would love to see an easy way or short cut way to cook sukiyaki and jap chae recipe. I liked Lunch a Porter on Facebook. Just subscribed to the newsletter on Lunch-A-Porter. I am looking forward to an okra recipe. We grew a bunch of okra and after a while our recipes got a bit old. Really looking forward to baked unagi with sauce!! I would love to explore more challenging recipes next year. I appreciate how accessible all these recipes are. I make food from many different parts of the world, but Japanese flavours are my favorite. Perhaps some experimental sauces or things we can do with pressure cookers and sous vide would be great! Hi Nami. I really enjoy your blog. 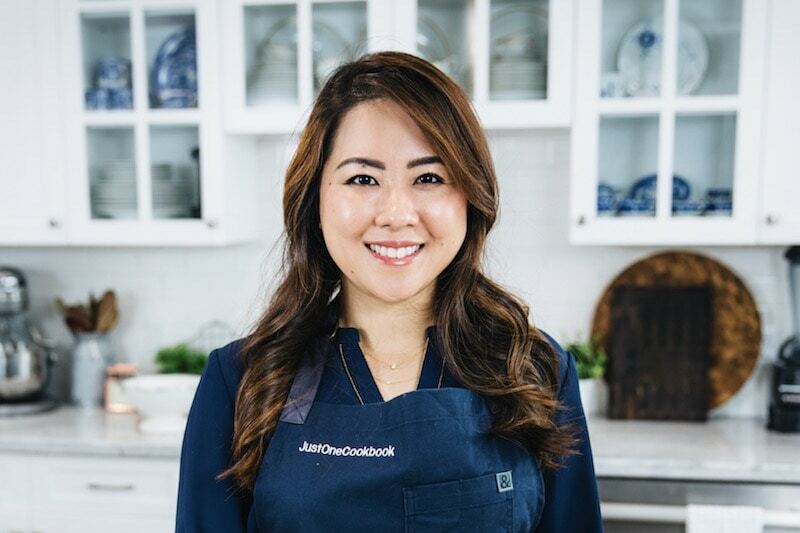 Every dish I have made from JustOneCookbook has been an amazing hit with my family. What a great giveaway! I’d like to see a recipe for tempura. Or agedash eggplant. Love this bento setup. hope i win. thanks for sharing. Need more 焼き肉 (yakuniku)!! I <3 grilled food!! I would like a recipe for making taiyaki. Entering for the bento contest! I’m looking forward to seeing a recipe for curry udon next year. Thanks! I already liked Just one cookbook on Facebook. Recipe for Millie Crepe in Matcha flavour! I’m also a new subscriber! I love this! So hoping to win. I love this! So hoping to win. 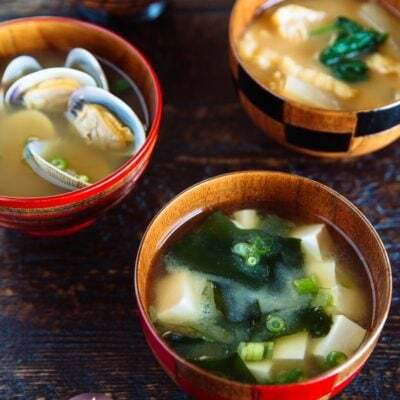 I’m looking forward to trying more types of miso soup! 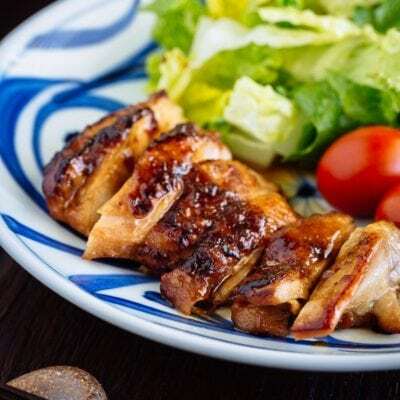 I would love to see the kid friendly taste of teriyaki incorporated into a variety of packable/ cold served dishes for picnics or school lunches. I would love to see more recipes that are vegetarian. I love all your recipes. They are so easy to follow and make! any and all! your blog is a complete delight to watch. that said….I’ve always wanted to try takoyaki! I’ve been a fan for just a short while on facebook – I’m only sorry I didn’t find you sooner! I’ve just started following Lunch-a-Porter on facebook! I’ve subscribed to the Lunch-a-Porter newsletter – thank you! Thank you for the giveaway! 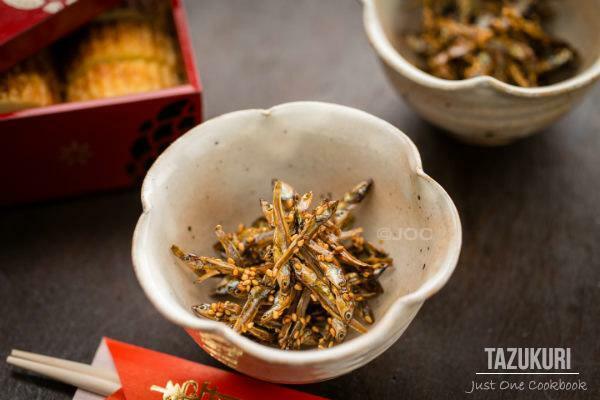 I look forward to some traditional japanese new year recipes that you would enjoy in Japan!! 😉 thanks for your effort! I have subscribed JOC YouTube channel earlier on! I have liked and followed JOC Facebook page earlier this year! I just followed Lunch-A-Porter Facebook page! I subscribed Lunch-A-Porter newsletter and look forward to receive more updates! I am a subscriber all the way!!! Would like to see mango mousse cake please I know Nami you are allergic to mangoes but can you just make one without tasting them? I know it will be hard. Love Lunch-a-Porter wish they have a boutique here in the East Coast. I’m looking forward to more fish and vegetarian recipes! Hi! For the coming year, I really look forward to learning more veggie recipes for a healthier lifestyle. Thanks and have a Merry Christmas! I love exploring the variety of Japanese food tastes. I would like to cook those amazing little side dishes that are provided at onsen meal times. More Italian-japanese (pasta) recipes please! I have subscribed to your YouTubeChannel! Mochi with black sesame seed fillings. How about a recipe for Hokkaido Ramen? Already a follower but only recently. how about crab/avocado salad? fois gras chawanmushi? dishes with uni? thanks! I am already a follower on facebook, I follow as Genesis Delarosa! I would like to learn how to do daifuku. I am a new follower to your Youtube channel, as Sammy Ebonlocke. I’m already a follower of Just One Cookbook on Facebook. I’m a new follower too of Lunch-A-Porter on Facebook. New follower of Just One Cookbook YouTube channel. Already following Just One Cookbook on Facebook. Just liked Lunch-A-Porter on Facebook. And I’ve subscribed the newsletter of Lunch-A-Porter! I’d like to see a recipe for anmitsu. I’ve never made matcha tea. I’d like to make it and try the green tea latte recipe as well. I subscribe to Subscribe to Just One Cookbook YouTube channel. 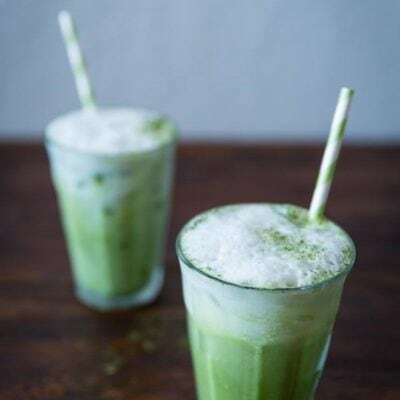 I really love to see more recipe with green tea, like green tea latte, cookies, cakes, or maybe ramen with green tea flavor..
oooooh i want this so bad! i’m on your mailing list, LOVE your recipes! I already like JOC on Facebook! I would like to have the CREAM of WILD MUSHROOM SOUP recipe!!! I’m looking simple and easy to follow Swiss buttercream and macarons. Many recipes are mentioned about tempature, can they make in simple way? I like your recipes, easy step to follow. Thanks! Follows Just One Cookbook. Love the chirashi bowl recipes. I am subscriped to JOC youtube channel! Black Sticky Rice with Coconut Milk….my favorite. Yum. I “liked” JOC on Facebook. I “liked” Lunch-A-Porter on facebook. I subscribed to Lunch-A-Porter Newsletter. I love your udon recipe, I found its the most yummiest and easiest to follow. Thank you for sharing your recipes. I wish you can show us how to make wasabi from scratch. Keep up your good work. I love your camera too going get one soon. I’m a new follower on Facebook and looking forward to learning to cook some simple Japanese dishes. This is a whole new style of food for me so starting from the basics. And i follow Lunch-à-Porter on facebook! Hello, Im a New Follower and I would love to see Christmas recipes on appetizers. I’m looking forward to see more quick and easy healthy meal recipes. I subscribed to Just One Cookbook YouTube channel. I already a follower to Just One Cookbook on Facebook. I already a follower to Lunch-A-Porter on Facebook. I follow you on face book.There are so many recipes I would like to try,one of them is omurice,last October On my sons birthday I made him a bento box ,that included ,onigiri ,potato salad ,grape tomatoes Karaage and mochi,I had to improvise a bento box using a plastic container ,i surprised him at school for lunch and he loved it. I wish you a lovely continuation, Merry Wmas and a Happy New Year! I would love to see Christmas recipes on appetizers. I’m a new Facebook follower! I am a new follower of Lunch- A-Porter on Facebook. Thanks you for sharing your Bento recipes. I would like more quick and easy to make recipes. I am already a follower of Lunch- A-Porter on Facebook. Thanks you for sharing your Bento recipes. I would like more quick and easy to make recipes. I love baking so I hope you will make some delicious sweets with lots of fruit. I am totally looking forward to an imagawayaki recipe! Hi! 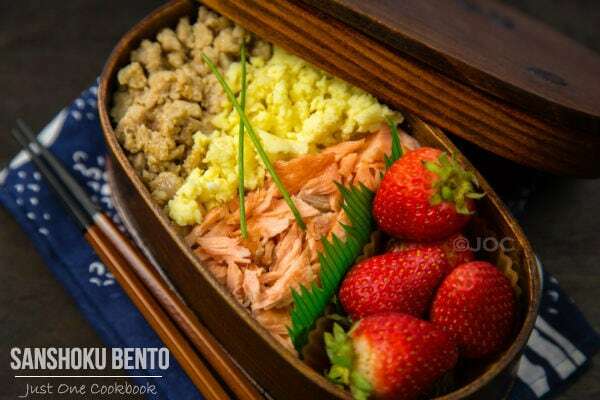 I want to learn recipes that is tasty and also beautiful to eat using the bento box!!! 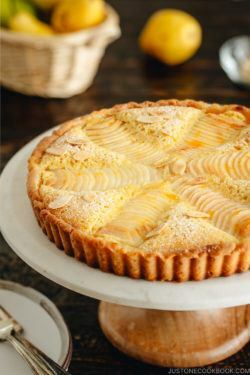 I´m new at Just one cookbook!!! I’ve just subscribed the Luch-à-Porter Newsletter. I would love more recipes on how to make quick gluten free snacks that can also be packed (with little or no refrigeration) like veggie stix or raw snack bars. Bonus 1: Subscribed to Just One Cookbook YouTube channel. I’m a new subscriber as Deb E.
Bonus 2: I already Liked Just One Cookbook on Facebook. Bonus 3: Like Lunch-A-Porter on Facebook. I am new to them. Bonus 4: I visited Lunch-A-Porter.com and subscribed to Lunch-A-Porter Newsletter as a new subscriber. I want to make more recipes with sea vegetables. I have followed you for some time now. In 2014 I am looking forward to getting a job. I signed up for Lunch-a-Porter newsletter. Truly, I’m looking forward to everything but more of your simple dishes appropriate for a busy weekday would be great. Love the new look of your blog, by the way! I have just discovered Okonimiyaki, and would like some different recipes fir this please. I subscribed to your youtube channel….which is SO fun! I like to learn Beef Misono and more Japanese recipes. I’ve liked Lunch-a-Porter on Facebook.. I am looking forward to seeing lots of cute bento recipies. I make them with my students at school. The students really enjoy making the bento boxes. It is difficult to find bento products in Australia. I would also like some receipies for sweet deserts. And I like to learn Miso soup, and bento luch to the kids to bring to school. I am a new follower and this is my first ever comment after following many recipes on Just One Cookbook including the steamed cakes and red bean soup 🙂 I would really love to have more dessert recipes such as green tea muffins 😀 Your green tea latte looks really great too. I just liked Lunch-a-Porter on FB, and I like them a lot! I would love to see more dessert recipes. Would like more simple bento meals for my school going children! How cute! I’d love to see more bento recipes, I love them and they are always a great idea for the kids’ lunch boxes! Bonus 2: Been a follower for some time! Bonus 3: Liked and really like their stuff! Bonus 4 : subscibed to newsletter!! Hi Nami, I would love to see more of your mom’s home cooked that you used to eat at home in japan! I’m always curious to know and to taste those home cooked food that are not commonly served in Japanese restaurants. Not to forget your quick and easy one meal recipes in 2014 too! Hi. I eat a variety of healthy foods so im looking forward to all kinds of recipes. I’m living in Australia and I love your blog. Thank you for doing such an amazing work of sharing the interest of cooking and photography. I love checking your blog everyday for new entry. I really enjoy your Bento making section and trying to adopt it. I am looking forwards to more easy – yummy – pretty bento ideas in 2014 especially Bento for Adult so I can have healthy good looking lunch without wasting too much time and money. Once again, thank you and have a nice day. New follower and like your fb and have subscribe to newsletter and YouTube Channel! Would love to win this price for my little girl! I would like some recipes any traditional “holiday” food . If possible maybe from different regions of Japan. It’s always nice to surprise my partner with something to remind him of home in Japan. I would like to have more creative recipes for a bento. A dessert bento will be great. Hey! I’ve been checking your blog for a couple months now. My roommate and I LOVE Japanese food (and studying Japanese and Japanese culture and yeah) I stumbled across your website looking for sushi recipes since all the restaurants near us don’t have very safe to eat sushi. I would love to see more sushi recipes and tips, and more bento suggestions. Though basically I’d love to see pretty much anything since I love trying new food. Also, I just followed you on facebook!!! I would really like to participate to this contest! I don’t have a recipe in particular that I want to try in 2014 but I sure want to put some variety in the lunchbox. I already JOC fan on Facebook! I would like more Japanese sweet recipes! I love your page !!! I have subscribed your site on youtube and like lunch a porter on facebook! I am most looking forward to trying out Inari Sushi or Dragon Roll, problem is, where I’m from, ingredients for these two recipes are hard to come by and very expensive….. I would like to see the recipe for fukusa mochi! I happy to have found your site…I love your recipes! I look forward to making soups, stir fries and appetizers. I already fan JOC on Facebook and I subscribe your site on Youtube! I also like Lunch-a-Porter on Facebook. I’m looking forward to see more Japanese sweets recipes ! I would love to see more recipes with unagi in 2014! I subscribed to the Lunch-A-Porter newsletter! These are such cute products! Congrats with a new website design – all new things are good. I am looking forward to recipes with pasta in 2014. I have just subscribed Just One Cookbook YouTube channel, liked Just One Cookbook on Facebook, liked Lunch-A-Porter on Facebook and visit Lunch-A-Porter.com and subscribed to Lunch-A-Porter Newsletter. Love your blog and recipes! Also, signed up for Lunch a porter’s fb! What a cute store! Just subscribed to JOC’s You Tube. Would love to see a recipe for shabu-shabu or mochi related recipes. Hi Nami, I’m a lover of all things noodles and would love to see lots of noodles recipes, like the variety I saw in Japan. Looking forward to it. Thanks for the bento post, I wish I could be as imaginative, they always looks so beautiful. Just liked Lunch a porter’s FB. Looking forward to a recipes with yamaimo. I love miso and would live to learn any recipes that use it. I’ve been a fan of Just One Cookbook on Facebook. 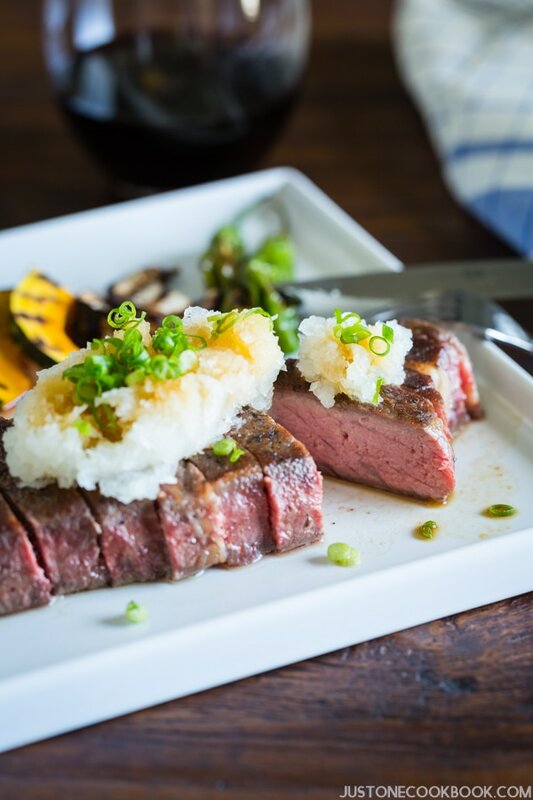 I would love to see more recipes using miso in 2014! I visited Lunch-A-Porter.com and subscribed to Lunch-A-Porter Newsletter. I’m looking forward to more seafood and vegetarian recipes! I would like to ask for the recipe of that small side dish they always sell at izakaya. I don’t know its name but it’s so delicious!! Desserts! 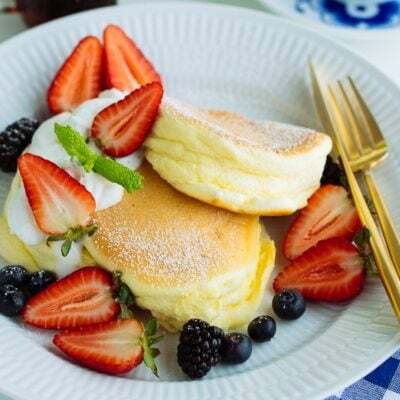 My daughter runs her high school anime club and I would love to send in some quick easy desserts f9r the group. Looking forward to more traditional Japanese cuisine. Looking forward to quick and easy recipes to feed my forever hungry 3 children! I am already a follower of Just One Cookbook on Facebook. Quick and easy Japanese breakfast recipes, please. I am a new follower of Lunch-A-Porter on Facebook. I’ve subscribed to Lunch-A-Porter Newsletter. I’d like to see simple recipes to put in a bento box.. Thanx .. Thank you so much for this awesome giveaway~! I subscribed to your Just One Cookbook YouTube Channel. I pin your ideas and recipes on Pinterest, and I receive them by email. I love your blog, but I especially love your bento ideas. I once had a student who would pack me a lunch when she came to me for assistance in a particular area. She told me that packing a lunch is a “life skill” and a labor of love. The student became the teacher! I love fixing my husband’s lunches, and my own as well. He always tells me how he enjoyed his lunch when he comes home after a long day! I would like to learn more about bento. It’s for my going-to-be-in-school daughter. Hi, lovely giveaway and so apt as my daughter is going to primary 1 next year, which means I gotta start making bento sets for her to bring to school. I hope you can post easy recipes that can be made within 1/2 hour for dinner as I am a working mother. =) Anyway love your recipes as my family are big fan of jap food. I can’t wait for more Bento recipes. I’d love to learn how to make melon pan that tastes like melon. I am a new follower. I saw your link on donuts. I love Japanese dessert and I hope to see Japanese Cream Puff Recipe, Japanese Mua Chi Recipe and Japanese Pancake in your blog soon. Am a JOC follower on Facebook! I’d like to have some sweet recipes, some desserts! You have my like on Facebook for Lunch-A-Porter! I gave the Like to Just One Cookbook on Facebook! I would love to learn some new stir fry recipes. I came to know your site like, a year ago or so, but started to intensively read it when I wanted to make a real hanami bento last spring to go to the Parc de Sceaux (that’s the most beautiful sakura groove you can find close to Paris, since I am French ;). So the recipe that I am looking forward to is: a good recipe of agedashi dofu, since I just loooove it but can’t quite find a way to recreate it at home. I am writing here although, well, I already have soooo many bento boxes, but they are way too addictive, never get enough of them! Keep up the wonderful work to feed our souls and belly with scrumptious recipes! I’m already follow Just One Cookbook on Facebook. I’m a follower of Like Lunch-A-Porter on Facebook. I just subscribed to Lunch-A-Porter Newsletter. I love to see more recipes that perfect for bento for children. I already Just one Cookbook follower and new follower for Lunch A Porter. thanks! I’m looking forward to being adventurous with some sushi rolls in 2014! Also, would love to try your Japanese Cheesecake revipe! I’m also a new follower of Lunch-A-Porter on facebook! I have just now subscribed to Lunch-A-Porter’s newsletter! I am a new Just One Cookbook follower on Facebook! I am a new Lunch-A-Porter follower on Facebook! Amazing giveaway,so cute,thank you for the chance to win it.I like vegetables and quick sweets.Happy holidays!!!! 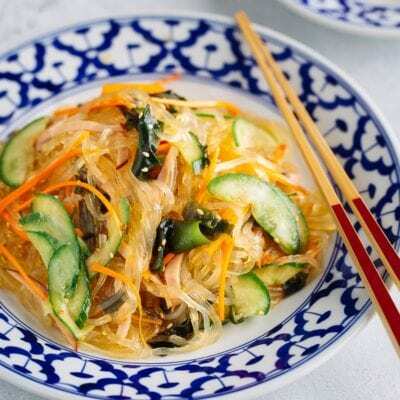 I have no idea about Asia foods and I saw your food photos on your facebook page and a few days ago I start to think trying new recipes and why am I not starting with Asian food? And after seeingone of your youtube video OMG! it was so easy! The one you made with carrott! I haven’t watch all of them,yet. Also I’m reading mangas and there’s a lot bento box! So when I saw the title ”OMG! I MUST have this” LOL. I know I wrote a lot,sorry. I like Quick & Easy , Vegetarian and Bento recipes…. I’m a new follower. I just like just one cook book on Facebook.. I just like lunch-a-porter on Facebook.. I would love it if you could post a recipe for kuro goma caramels! I had some from a chocolate shop at Roppongi Hills (I think Le Chocolat de H), and I’ve longed to create it ever since! i dont know much about cooking , so any recipe is interesting to me! I’m looking forward to starting my own blog in 2014! I think what I’m looking forward to the most would be more nabe style dishes and sweets. Hi 🙂 I’ve been a silent reader of your blog for two years and followed you on facebook as well. Have just subscribed to your channel and lunch-a-porter. I’m already a follower of Lunch-A-Porter on Facebook. I’m looking forward to more freezer-friendly bento ideas. I now like Lunch-A-Porter on Facebook! I’m looking forward to seeing more dessert recipes. I would love to learn how to make mochi ice cream. I’m a new subscriber to Just One Cookbook YouTube channel. I just liked Just One Cookbook on Facebook. My Facebook name is Li Na. I just liked Lunch-A-Porter on Facebook. My Facebook name is Li Na. I’ve just subscribed to Lunch-A-Porter Newsletter. I’m already Like and followed Just One Cookbook on Facebook. I’m already Like and followed Lunch-A-Porter on Facebook. I am a new follower of Just One Cookbook YouTube channel. I am a new follower of Just One Cookbook on Facebook. I am a new follower of Like Lunch-A-Porter on Facebook. I already subscribe to Lunch-A-Porter Newsletter. I went in Japan 2 years ago and I keep wonderful memories of that trip, the food, in particular. When I found your Chiffon cake recipe, I nearly cried! I remember my first day in Kyōto, just walking through Toji Temple’s market, I found that okonomiyaki/takoyaki/taiyaki stand and it made my day. I already cook okonomiyaki and takoyaki, and I’d like to be able to bake those sweet and cute cakes, taiyaki! I apologize, english is not my first langage. Thanks for your hard work, bye! I have subscribed to the Lunch-A-Porter Newsletter! I’d like to see a recipe on miso butterfish.. and also where to buy butterfish on the mainland. I use to eat them all the time at Japanese restaurants in Hawaii, but can’t seem to find them on the mainland. Akemashite omedetou! I would love to see more sushi recipes, more soups, ramen and Yakisoba and easy n quick meals! Arigato! Love ur website! I’m already a fan of just one cookbook!!!!!!!!!!!! I love wagashi. They look so beautiful! would love to see easy recipes to follow. Thank you. Already liked Lunch-A-Porter on Facebook. Anything! Thank you for all your recipes! Lunch a porter. I would like to see more quick and easy meal for kids. I had been your blog follower past few years. Hi Nami! When visiting Takayama in Japan we tried little desserts in one of their old streets, but I don’t know what it was called! They were cake/pancake like. The man poured batter into two sides of a moulded fry pan (in this case, they were fish shaped), then put on top of the batter the sweet of your choice (we of course chose chocolate chips!) and then he closed the two sides together to cook – a few minutes later when he opened it, the little cakes were complete fish! I don’t know if it is just a cute version of your Dorayaki but if you know what this might have been, I would love if you could make it!! I’m a new Just One Cookbook YouTube follower! I’m looking forward to more dessert recipes! I would like more bento recipes! I’m a new Youtube subscriber and a new Lunch-a-Porter follower. I am looking forward to easy, healthy and affordable meal recipes this year. It would also be nice if you could share some recipes for G6PD positive people. I hope to make the castella and green tea chiffon cake. Been eyeing them since 2013 since it looks so good. I am a follower of JOC on Facebook already plus I always go to your website for dinner ideas! Already a follower. Looking forward to learning to make Japanese choux this year. I love your website & bought your ebook! Thanks for sharing your wonderful recipes! I’m already a follower! I hope I win the Bento set giveaway! :-). Please share your Shabu-Shabu recipe! Thank you! I would love to visit a shop like that, would be there often too! 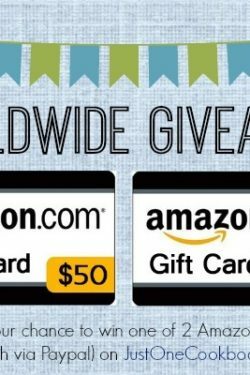 Beautiful givaway! I am looking forward to making more of my husbands favorite sushi recipes since we usually do that for our holiday meals and we went very American this year! I subscribe to JOC YT channel! I like JOC on FB! Love all your recipes and I follow you on FB. I subscribed to Lunch-A-Porter’s newsletter! Thanks again for sharing so many nice recipes on your blog! I would really like to see a recipe for modanyaki, which is okonomiyaki combined with yakisoba. I loved it when I was in Osaka last time and miss this food very much! I’m looking forward to ramen recipes! New follower! Looking forward black sesame and green tea recipes! I am looking forward to making tonkotsu! I also hope to try shabu shabu! I am spending Christmas in Japan, Heaven only knows what delights I will encounter over there!! Msg 2 – I subscribed to your YouTube channel! Last one! I liked lunch a porter on Facebook. So adorable! I’m an instant fan. I am excited to be growing as many japanese vegetables as I can this year, which gives me almost too many recipes to choose from! My girlfriend is talking about making miso oysters gratin and I don’t have to do anything so that might be the most exciting… I do want to see how many dishes I can sneak ume plums into though!